This stylish Gold Faucet will make any kitchen come alive with it's stylish looks. Why be like everyone else with the standard faucet when you can stylize your kitchen. It has the single handle brass valve, with a ceramic seal. 1/4 turn on and off. 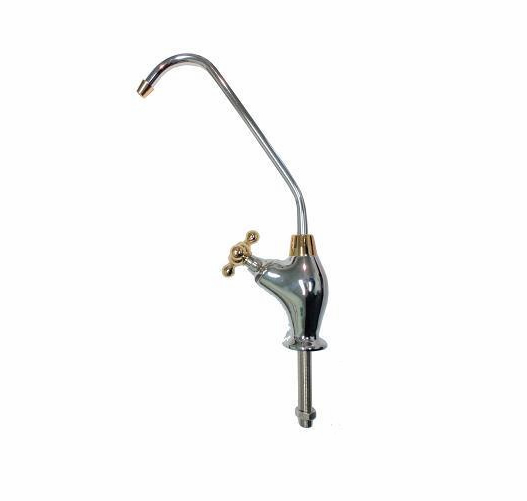 The Phat Gold Handled Faucet is easy to install with preinstalled 1/4" tubing and complete accessory parts and instructions.